Television and social media have come a long way. 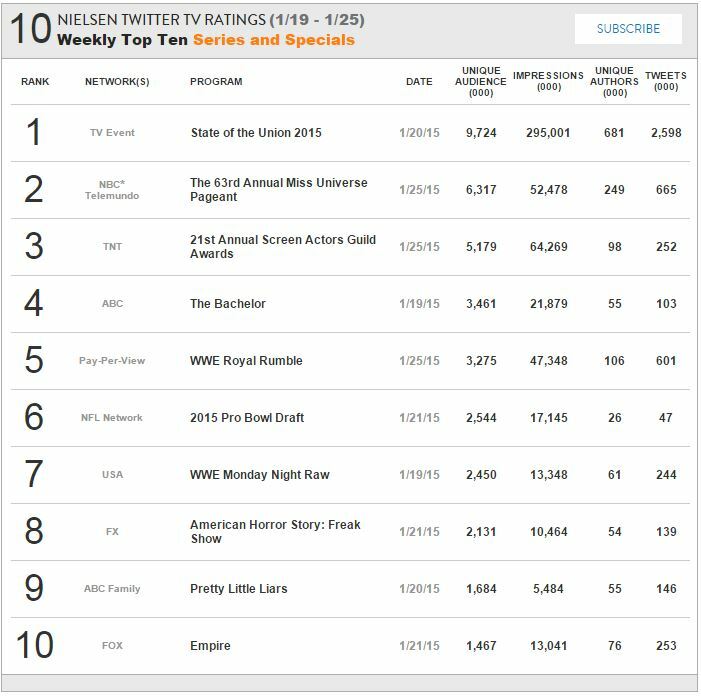 With focus on social media television viewership on the rise, we present to you the latest Twitter TV Ratings for the week of January 19th to January 25th of 2015. Last week’s rating ranks the President’s State of the Union 2015 speech at number one, followed by The 63rd Annual Miss Universe Pageant aired on NBC. 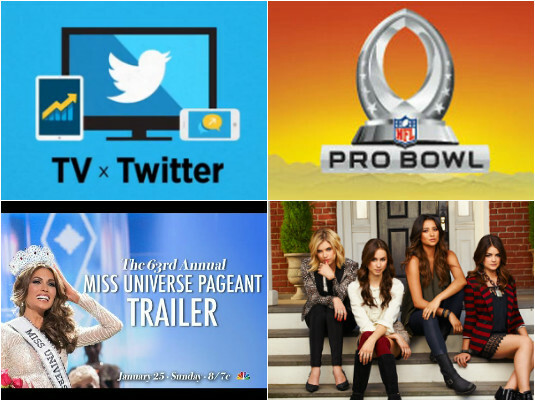 Stay tuned for the latest Twitter TV Ratings on Fuze! OMG : Sanjeev Kapoor Turns Into A Dabbawala?